$62 million: That’s the amount of money HUD and the state of Louisiana agreed to pay thousands of homeowners because of racial discrimination in Louisiana’s program to disburse federal rebuilding funds following Katrina and Rita. African American homeowners were more likely than whites to have their rebuilding grants based on the much lower pre-storm value of their homes rather than the higher estimated cost to rebuild them. Source: Greater New Orleans Fair Housing Action Center. 343,829: The current population of the city of New Orleans is 343,829, about 110,000 less than when Katrina hit. New Orleans is now whiter, more male and more prosperous. Source: Greater New Orleans Community Data Center. 154,000: FEMA is now reviewing the grants it gave to 154,000 people following hurricanes Katrina, Rita and Wilma. It is now demanding that some return the long-ago-spent funds! FEMA admits that many of the cases under review stem from mistakes made by its own agency employees. FEMA’s error rate following Katrina was 14.5 percent. Source: Michael Kunzelman and Ryan Foley, Associated Press. 65,423: In the New Orleans metropolitan area, there are now 65,423 fewer African American women and girls than when Katrina hit. Overall, the number of women and girls decreased since Katrina by 108,116. Source: Institute for Women’s Policy Research. 47,738: That’s the number of vacant houses in New Orleans as of 2010. Source: GNOCDC. 3,000: Over 3,000 public housing apartments occupied before Katrina plus another 1,000 under renovation were bulldozed after Katrina. Fewer than 10 percent, 238 families, have made it back into the apartments built on the renovated sites. Only half of the 3,000-plus families have even made it back to New Orleans at all. All were African American. Source: Katy Reckdahl, Times-Picayune. 75: Nearly 75 percent of the public schools in New Orleans have become charters since Katrina. Over 50 percent of public school students in New Orleans attend public charter schools. There are now more than 30 different charter school operators in New Orleans alone. The reorganization of the public schools has created a separate but unequal tiered system of schools that steers a minority of students, including virtually all of the city’s white students, into a set of selective, higher-performing schools and most of the city’s students of color into a set of lower-performing schools. Sources: Andrew Vanacore, Times-Picayune; Valerie Strauss, Washington Post; Institute on Race and Poverty of University of Minnesota Law School. 70: Seventy percent more people are homeless in New Orleans since Hurricane Katrina. People living with HIV are estimated to be homeless at 10 times the rate of the general population – a condition amplified after Hurricane Katrina. Source: Unity for the Homeless and Times-Picayune. 59: Less than 60 percent of Louisiana’s public school students graduate from high school with their class. Among public school children with disabilities in New Orleans, the high school graduation rate is 6.8 percent. Source: Education Week and Southern Poverty Law Center. 34: Thirty-four percent of the children in New Orleans live in poverty; the national average is 20 percent. Source: Annie Casey Foundation Kids Count 2011. 11: Eleven New Orleans police officers were convicted or plead guilty to federal crimes involving shootings of civilians during Hurricane Katrina’s aftermath. Source: Brendan McCarthy, Times-Picayune. 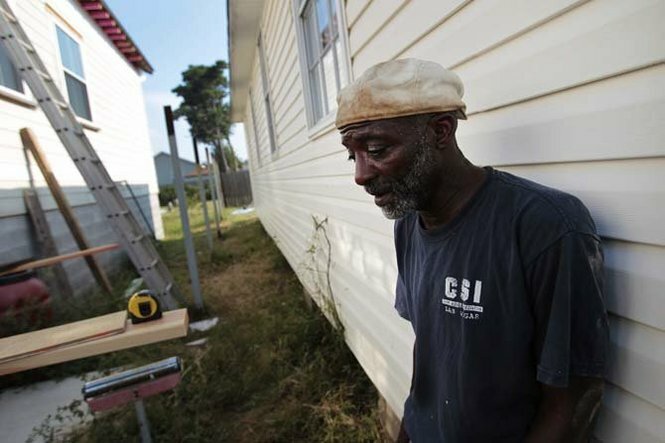 3: A three-fold increase in heart attacks was documented in the two years after Katrina. Source: Tulane University Health Study. Number unknown: The true impact of the BP oil spill in terms of adverse health effects is vast but unknown. Delays by the federal government in studying the spill’s physical and mental health effects hinder any ability to understand these issues with accuracy. A year after the spill, more people are reporting medical and mental health problems. Source: Campell Robertson, New York Times and National Geographic. Bill Quigley and Davida Finger are professors at Loyola University New Orleans College of Law. Bill is also associate director of the Center for Constitutional Rights. You can reach Bill at quigley77@gmail.com and Davida at davida.finger@gmail.com. Hello guys play most played site. i like this site games i have most played games solitaire card game this is the uniq them game you play the game and enjoy to this site games .